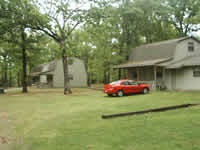 Looking for a great place to go on a retreat, get some much needed rest, and enjoy the best fishing in Texas? Look no farther! We have three cabins, a few overnight RV spots, and annual leases available (get'em while they last.) Browse our web site to see for yourself. You're always welcome to stop by in person. 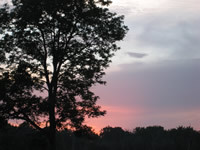 There are many trees and quick easy access to the lake from our private boat ramp. 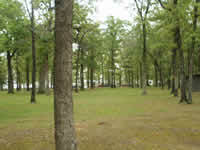 The park is located right off of William's Creek which gives you easy central access to anywhere on Lake Fork you may want to go. Just give us a call and reserve your time at the park today! Be sure to check out our RV and Cabin Suites pages! Welcome to Lake Fork Cabins at The Park located in Alba, TX next to Lake Fork.Whether you are an RV enthusiast who needs a full hook-up site or you are looking for a cabin suite with modern amenities, you will find it here at The Park.